As a restaurant owner, you deal with an infinite number of internal tasks that affect the restaurant. From training your staff to marketing the restaurant, you’re constantly working to ensure the best possible customer experience. But, there are many influences besides these internal factors that affect how well a restaurant performs. One factor is something we can’t control – the weather! According to Upserve.com, a restaurant’s sales can fluctuate as much as 20% due to seasonal factors. It’s crucial to make sure you understand how the change in season can impact your restaurant and to think about maintaining your business’ success through the next few months. Read on for 4 tips on how to maintain success through the summer. From Father’s Day to high school and college graduations, the summer months are packed with holidays and occasions. This is great for you, as these events usually call for family and friends gathering together to share the special day. And who wants to cook for that many people? That’s where you come in. 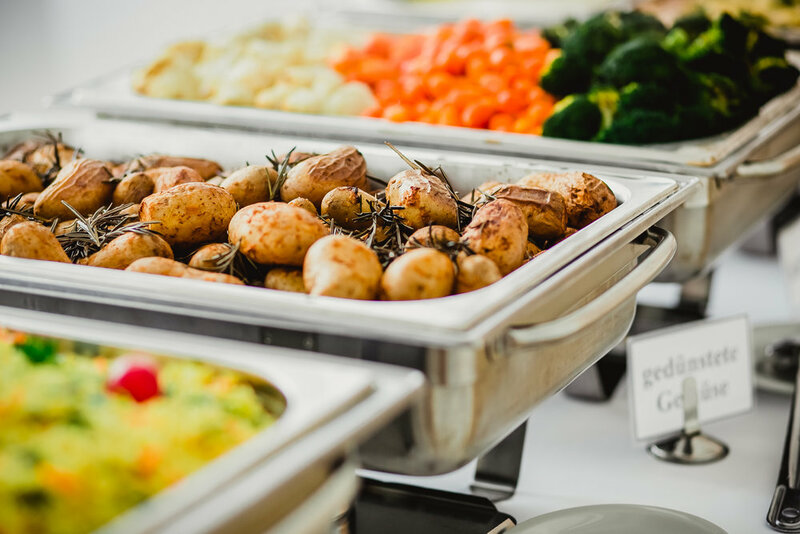 If you offer catering, it’s wise to leverage it to maximize your profit potential all summer long. Whether it is a barbeque in a customer’s backyard or a special order for platters of food, you need to make sure your restaurant is prepared for the influx of business. Promoting the restaurant is a key step in making sure you’re getting as much business as you hope for this summer. You have to make sure your customers and potential customers know you are ready to conquer their catering needs. Not only do you need to advertise in your restaurant, but you need to make sure this information is available to anyone searching online for catering in the area. Make sure that the restaurant’s online listing on sites like Yelp, Google, and TripAdvisor, display your catering services. These sites are great for customers who may not have heard of the restaurant before, but are looking for something you specifically offer. Facebook and Twitter are also important sites to list your catering offerings. Current customers often follow you on these platforms, and social media is a quick and easy way to announce what you have to offer. Updating your menu is an easy way to keep customers coming back month after month. Not only does this intrigue customers because they want to try your new creations, but it’s also a great way to focus on foods that are in season. This is a great opportunity to utilize ingredients from local farmers and markets (which is also great for mentioning in advertising). Customers often like to eat healthier in the summer months, so adding some light and healthy menu items is also important. And you can’t forget about some fun cocktail to spice up the menu! But just adding these menu items isn’t enough. You need to make sure your seasonal menus are accessible to everyone who may be looking. A study by OpenTable found that 93% of customers view a menu before making a reservation. And this makes sense. People want to know what you offer and what the prices are before they make a decision. This is why it is crucial to keep your menu up to date, both in your restaurant and online, with all current items and specials. Take it a step further and post pictures and specials to entice your current and potential clientele to come try your seasonal concoctions. Social media has made it easy to get some buzz about the items that make your restaurant unique, so make sure you have a strategy to properly publicize any new offerings. 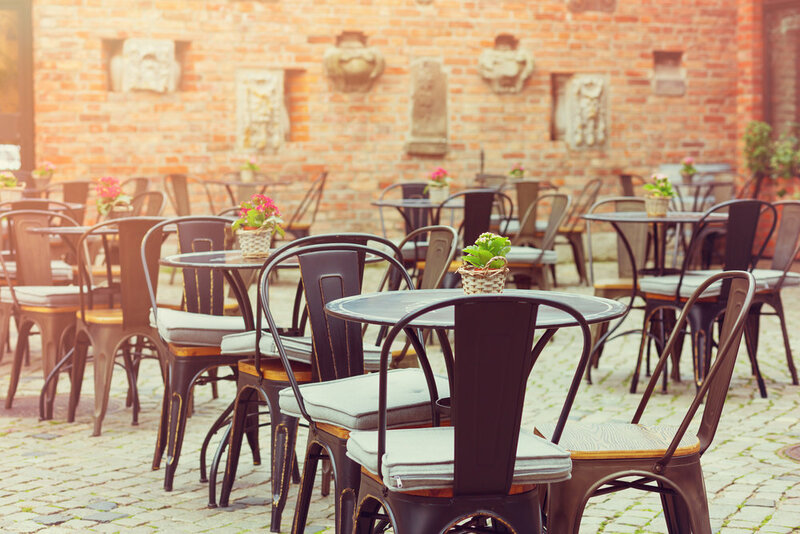 People want to be outside during the summer months, so offering outdoor seating is a simple way to attract customers to your restaurant. According to FastCasual, a patio or simple sidewalk seating can increase revenue by up to 30%. Picture this. You’re walking past a restaurant on a sunny summer day and see people enjoying a meal together. The atmosphere, scent of the food, and liveliness of the restaurant immediately draws you in. As you get closer, you see the entrees and specialty drinks and suddenly begin to feel that rumbling sensation of hunger in your stomach. Maybe you can’t sit down for a meal at that specific moment, but because of the experience, you’re sure to remember the restaurant for the next time you’re in town. As a restaurant owner, you want to create that same experience for people passing by. In addition to outdoor tables and chairs, you can make the space more inviting by adding simple elements like plants, colorful napkins and dinnerware, and even a sound system. Of course, you can’t only focus on the people that happen to be walking by your storefront. You need to capitalize on people who are searching online for restaurants with outdoor seating as well. Make sure that in your restaurant description you mention if you have a patio or outdoor seating option. Especially in the summer, people are specifically looking for places to enjoy a meal outside. Similar to catering, in-house events are another great way to generate business during the summer. Whether it’s themed occasions for holidays like Independence Day or Cinco de Mayo, a simple trivia night, or the performance of a live band, events prove to be a great way to boost business. They provide customers with a fun and unique reason to come into your restaurant and experience something new. They’re also great for marketing purposes. Getting people excited about upcoming happenings can inspire them to tell their friends and family, meaning even more business for you. Have you thought about offering incentives? Raffles, drink specials, and live music are examples of easy ways to draw in crowds. Like every other tip, you must get the word out about these events to ensure they’re well-attended. Aside from social media, other marketing tactics can include an email newsletter, in-mail flyer, and promotion in local advertising outlets. As the days get longer and the weather gets warmer, people are more inspired to get out of hibernation and try new restaurants. They’re also hosting celebrations, or looking for a place to spend a special night out. Catering, seasonal specials, outdoor seating, and special events allow you to keep business thriving during the summer months. A restaurant’s success depends greatly on how you deal with external factors like seasonal changes. As a restaurant owner, you need to cover all your bases when it comes to promoting your business and everything it has to offer. SinglePlatform provides an easy solution for showcasing your catering specials, scheduling your seasonal menus, and keeping your customers in the know on social media. Take advantage of the opportunities summer brings to maximize your restaurant’s seasonal success. Interested in learning more about maximizing your opportunities during summer? Check out a recording of our webinar Prep Your Restaurant for Tourism Season. About the Author: Millie Blumka is a Senior Partnership Business Analyst at SinglePlatform, where she works with restaurant owners to enhance their online identity. When Millie is not working, she can be found exploring the New York restaurant scene or trying the newest workout trend.